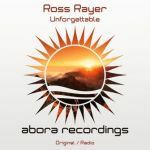 German uplifting trance is invading Abora Skies! We are very proud to present the latest illitheas & Johannes Fischer collaboration: this is "Tears of Hope". The two talented German producers deliver another great uplifting tune that you will most certainly hear a lot about. Be ready for upbeat and happy vibes filled with emotion. The release starts off with the original mix, going from a groovy and pumping introduction filled with neat bass lines and joyful melodies. It then carries on with a marvelous orchestral breakdown, combining acoustic drums, and strings with dreamy plucks and of course, a very emotional melody. The song then goes into its main climax which is just pure bliss. This one will certainly get your head nodding and body moving, and will make you smile. The original mix is then followed by a more straight-forward club mix that is exclusively made for the clubs, due to its shorter breakdown, but keeps the sweet and joyful uplifting atmosphere. 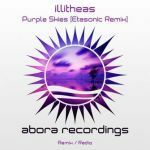 Next, illitheas & Johannes Fischer show off all their capabilities in a gorgeous intro mix, composed of a calmer and more complex introduction, perfect for listening at home or starting off a DJ set! Finally we have the marvelous chillout mix. This beautiful and peaceful short piece will touch your heart. All in all, the duo successfully conquers Abora Skies, and we hope that you'll like it as much as we do.